What do strut mount kits do? 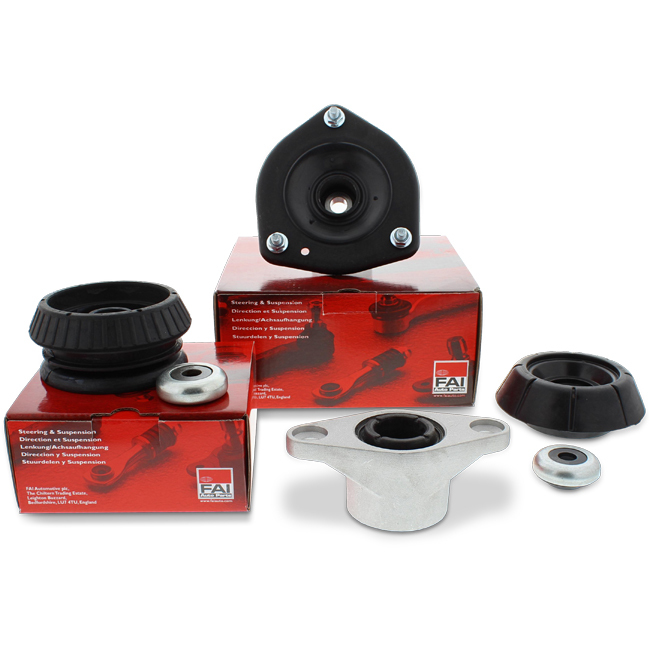 The strut mount serves as a fixing point for the top of the vehicles strut assembly to the chassis and insulates noise and vibration from the tyres and vehicle. As a vibration damping item strut mounts are subject to normal wear and tear which can be accelerated by poor road conditions such as potholes. Visual inspection of strut mounts can reveal potential failure in the form of damaged or worn component, excessive movement or corrosion. Warning signs of worn strut mounts can include clunking noises over bumps, excessive vibration, heavy steering, car wanders from side to side, uneven tyre wear. Why replace them in pairs? FAI understand the need for quality for safety critical components, so all our products are manufactured to meet/exceed OE Specification. Only the best raw material are used in our factories for production and all components and put through rigorous testing. 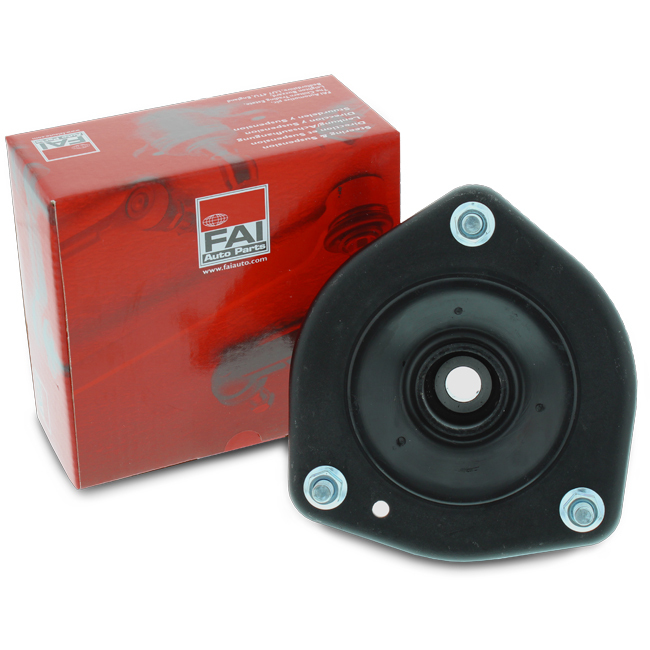 To ensure the job can be completed FAI sell complete kits which include strut mount and bearing.